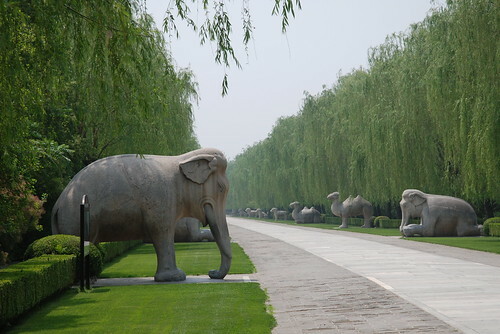 The Spirit Way, or Sacred Way as it’s also called, is in an area approximately 50km from Beijing. 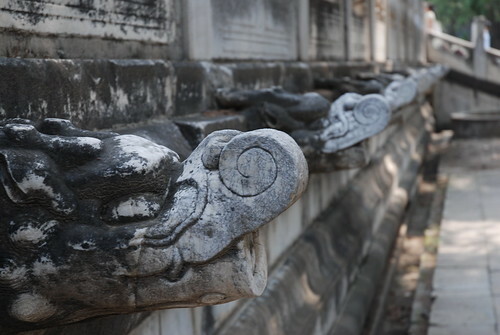 In this area 13 Emperors from the Ming Dynasty were buried, some along with wives and concubines. 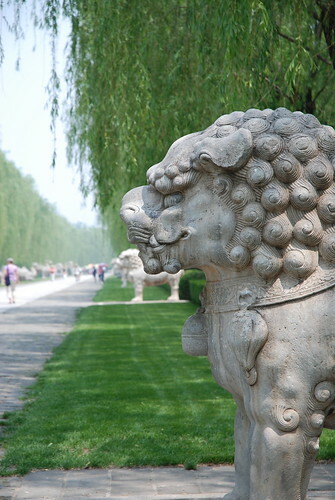 The first Emperor to choose this as his burial ground was Yongle and he is also known for the construction of the Imperial Palace (the Forbidden City) in Beijing. Part of the guard parade along the Spirit Way/Sacred Way. The parade consists of both real and mythical animals as well as humans. The animals are portrayed as both standing and sitting/lying to reflect the fact that they work in shifts. One of the resting lions in the parade. You can see the standing lion coming after him. I love his mane! 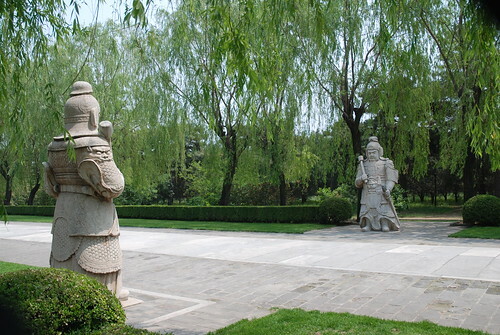 All guards stand (or sit) opposite its identical twin. One of the human guards up close. I think he represents the warrior. 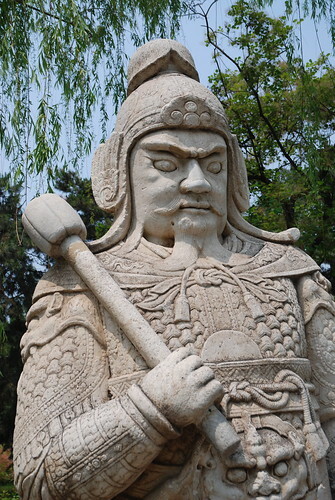 There are also guards representing intelligence and wisdom. 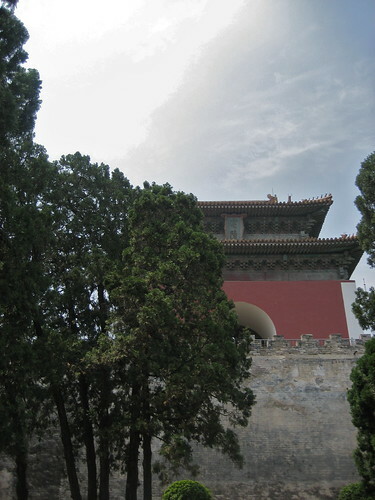 This is the gate tower to Changling’s tomb; the largest and oldest of the emperor’s tombs. The actual tomb is not open to the public as three of the others are. This is stormwater management from the 15th century. Sure beats our plastic drains when it comes to beauty points. My next post in this series will show you pictures from the Great Wall. 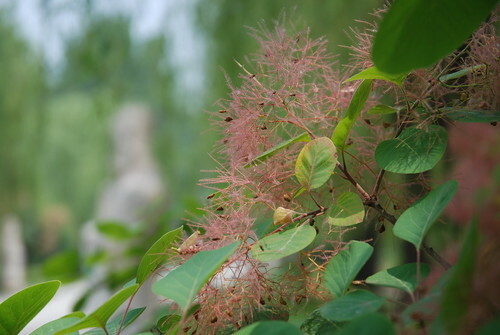 This entry was posted in Abroad, Out of town, Photography and tagged asia, photography, travel. Bookmark the permalink. Isn’t it fun what can distract you when taking pictures! I’m glad you liked photographing the fluff.